History, Size, and Scope. ATS 2019 will mark the 115th year of the conference, making it the longest running, large-scale conference in the world offering groundbreaking research in pulmonary, critical care, and sleep medicine. 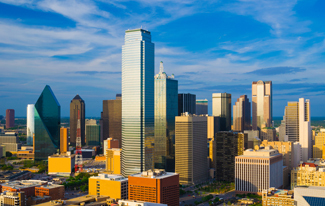 This year, we’re taking the conference to Dallas, Texas! Networking and Engagement. 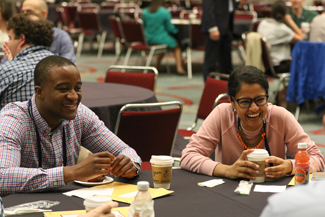 Networking opportunities are a vital component of your conference experience, and can help lay the groundwork for future professional collaborations and opportunities. Last year, nearly 16,000 attendees from 102 countries joined us for the ATS International Conference. 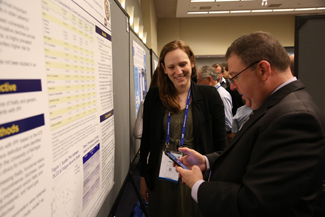 AT ATS 2019 clinicians, researchers, and related health care professionals will come together to connect face to face with distinguished leaders and colleagues across disciplines on the latest scientific research and findings in thoracic medicine. Access to Cutting-Edge Science and Research. Through approximately 6,700 abstracts and case reports, and 500 sessions, more than 800 presenters will share with you the very latest research and scientific findings. At ATS 2019, you’ll hear from world-renowned clinicians and scientists who will reflect on milestones in the pulmonary, critical care, and sleep fields, as well as discuss how advances in science will impact respiratory medicine. The Latest Technology and Innovation. More than 200 exhibitors will be on-site to offer you a hands-on opportunity to explore new technologies, services, and innovative products. The ATS International Conference is the site of numerous new product launches, keeping you current on the latest tools available. Key Findings of Landmark Studies are Announced Here First. The ATS International Conference serves as a platform for researchers to release significant findings and scientific discoveries. 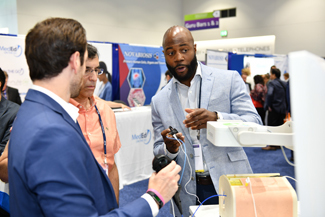 ATS 2019 will continue this tradition of bringing you the latest clinical and scientific advances, and will serve as a forum for those who shape the future of medicine. Check out the research findings that were revealed for the first time at ATS 2018.